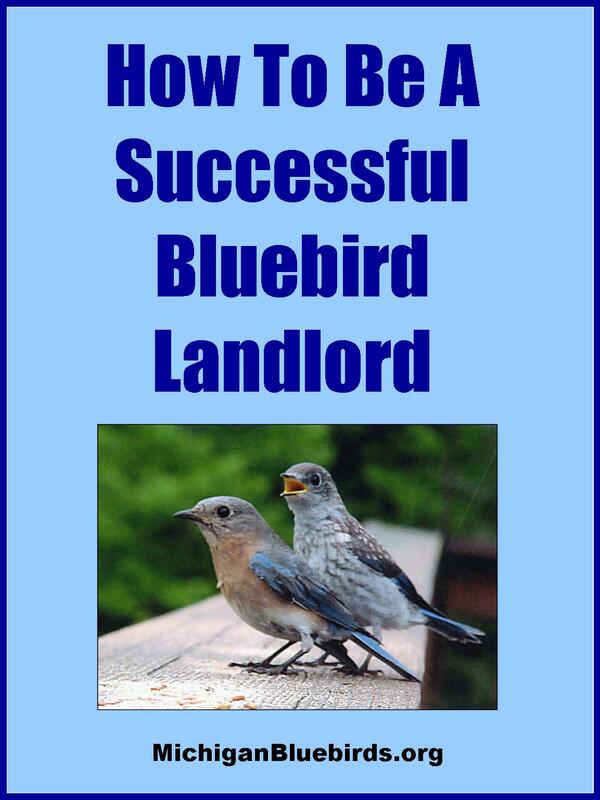 You can attract bluebirds to your property using a number of different methods. Putting up nesting boxes is the best way, but not the only method. 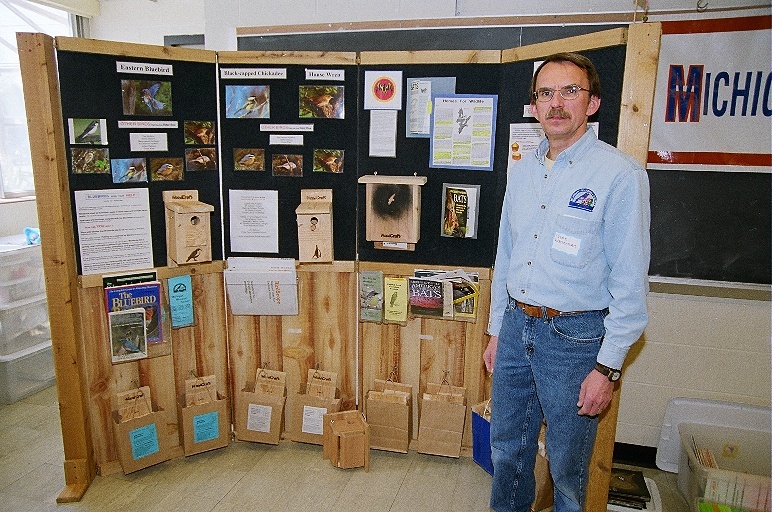 This section will discuss Landscaping For Bluebirds. Nest boxes aren't the only way to attract bluebirds into our yards. Like all birds, bluebirds need 4 resources: food, water, shelter, and nesting sites. 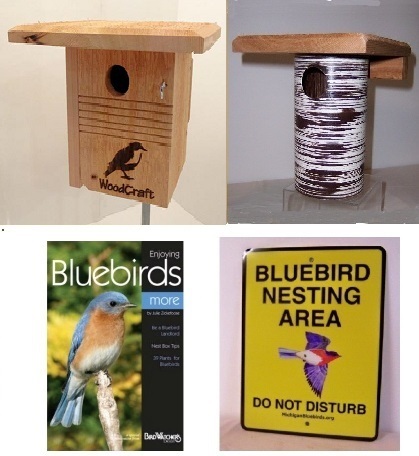 Bluebird boxes take care of the last item, but what about the other three? Well, the best way to attract bluebirds to your yard year-round is by providing everything they are looking for in a well thought-out bluebird landscape. The goal is to provide a habitat for your bluebirds that contains everything they are looking for. 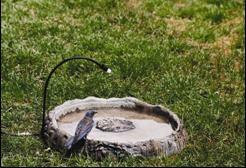 After setting up nest boxes, a bird bath is a great next step. Bluebirds love water and will drink and bathe in a bath year-round. A shallow bath, either on the ground or on a pedestal works great. Try to keep the water depth no more than one and a half inches. And, all baths need to be kept away from low ground cover where cats lurk. You can also create bird ponds that are natural-looking mini-ponds built into the ground. Adding a waterfall or dripper that creates the sound of moving water will attract even more bluebirds. Consider putting out a heated bird bath in the winter. Bluebirds are increasingly spending the winters in southern Michigan and will come to water sources every day. These baths can be purchased for a modest cost and will keep the water ice-free during cold winter months. All you need to do is hook it up to a grounded electrical outlet with an outdoor extension cord. Next, bluebirds need food. 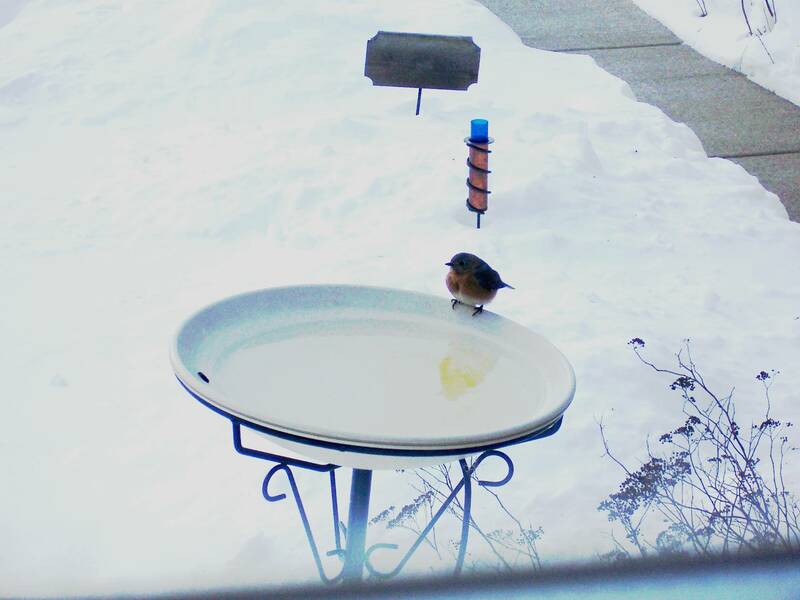 You can put out food for bluebirds. Their favorite choice is live meal worms. During cold weather, bluebirds will sometimes accept other foods like corn meal, suet, and sunflower hearts. (see our Feeding Bluebirds page for more information) But, one of the best sources of food are natural berries on shrubs and trees. Bluebirds especially rely on these foods in the fall, winter, and early spring. 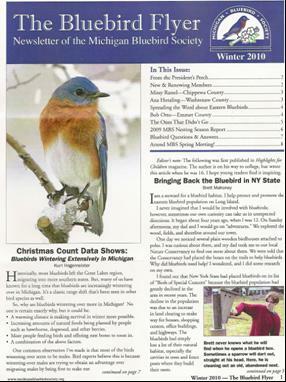 And with more bluebirds wintering over in Michigan, it become even more important that we help them by turning our yards into bluebird havens. Planting shrubs and bushes do more than provide food. They also provide shelter for bluebirds from harsh winds and cold temperatures. Dense hedges and conifer trees are the best choices to provide cover. 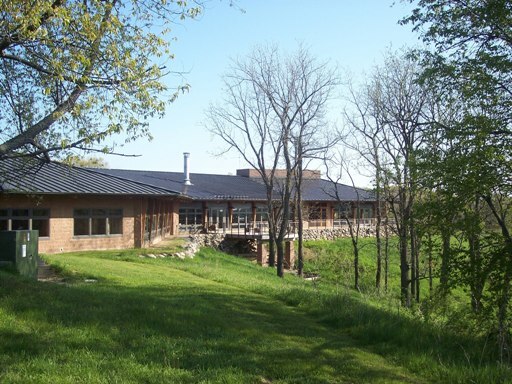 Also, trees and bushes provide valuable protection from predators such as Cooper's and Sharp-shinned hawks. Bluebirds love many kinds of berries and seeds from shrubs and trees. Plus, these plants will also attract insects that bluebirds feed upon. So, one key is to provide a diversity of trees and bushes so that there are more choices for birds and insects alike. Another reason to do this is to stagger the times when fruits are ripening so that there is food available for the birds all the time. Again, bluebirds will mainly eat these natural plant-foods during colder weather when insects are not readily available. In creating your bluebird habitat, it's important to start with a plan. Look around your yard and assess what you already have first. Are your bluebird boxes in good, open spots with perching spots not far away? 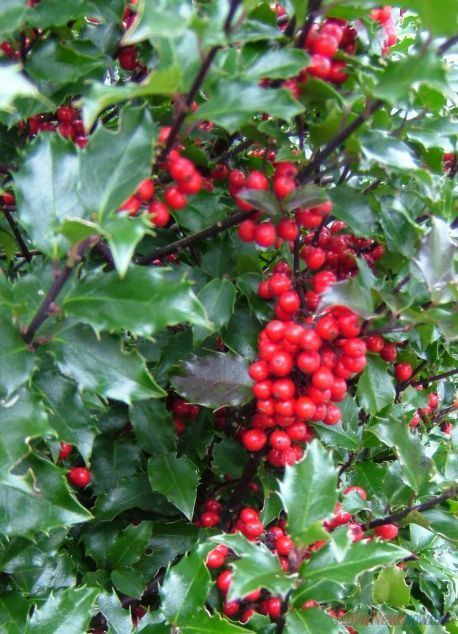 What kind of trees and shrubs do you already have? Are there any plants that don't provide any value to wildlife and can be removed? Where are your bird feeders and do you want to keep them in the same place? Where are the sunny and sheltered areas of the yard? After doing this, you can then create a plan on where to put new trees and shrubs that bluebirds will love. Finally, don't think you have to do this all in one year either. You can do a little each year. Here are few more tips on landscaping your yard for bluebirds. First, bluebirds like a lot of short grass areas. They find their insect prey by sight in open areas. So, make sure you don't over-do it with ground covers and low-lying shrubs. Second, bluebirds like perching spots not far from their nest box. They use these as vantage points to look for insects. So, leave out dead snags sometimes if bluebirds can utilize them. Also, putting small posts (like tomato stakes) with cross bars at the top around the yard will help provide perch spots. 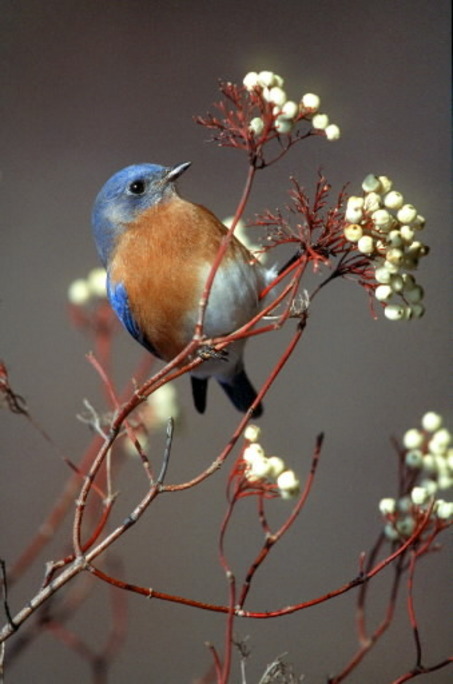 NOTE: It is the position of the Michigan Bluebird Society that it is best to plant native, non-invasive species of plants whenever possible. Further, MBS recommends that interested gardeners take steps to eradicate non-native species of plants from their yard when possible. In the long run, this will result in a more healthy ecosystem for your bluebirds and other wildlife. In summary, the more you can offer bluebirds, the more they will delight you with their presence in your yard. By giving them nesting boxes, different types of food sources year-round, water, and shelter, the number of bluebirds in your yard across the seasons, should keep going up and up!